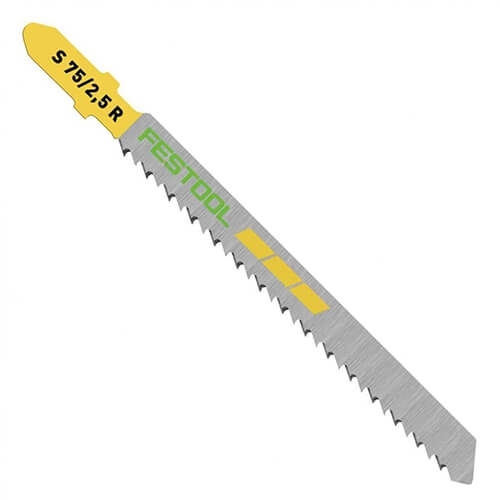 The new S 75/2.5 R jigsaw blade is made of high-grade HCS tool steel and splinter-free results in wood. This blade features a reversed rake tooth design to prevent splintering by cutting on the down stroke of the jigsaw. Ideal for fine cuts in wood. HCS tool steel quality, 3 inches long, 2.5 pitch.